Features smoked items such as ribs and chicken. Plentiful outdoor dining, mostly covered. Some water-side tables available. 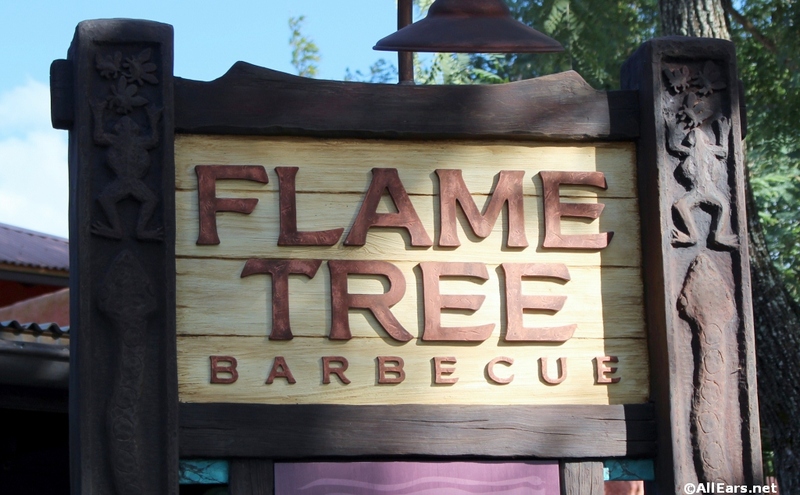 The theme of Flame Tree Barbecue is Predator and Prey. Each of the pavilions reveals this theme in a lighthearted fashion. Although done in a way that won't put off young children or those who are skittish about nature, the message is obvious once you notice it.